Looking For Career in Graphology? Less than a century ago people around the world equated handwriting analysis with the pseudoscience horoscope and fortune telling etc. Those people failed to comprehend it is well documented that the science of hand writing analysis dates back to 16th century. Today, people have a more prudent perspective of this behavioral science and understanding its validity. There is no mystery and no magic about deciphering the graphic symbols by which we express our inner natures, our physical, mental and emotional status. 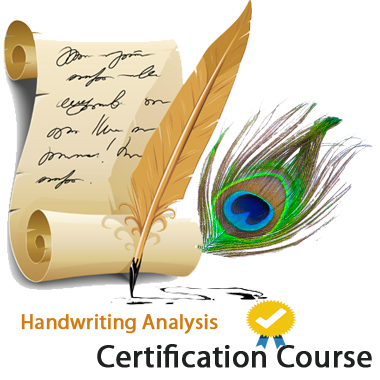 Handwriting analysis can identify your subconscious and conscious personality traits. These traits relate to your behavior, motivation, sexuality, ambitions and other personality variations. It can also tell you how high are your goals are, the fear & traumas that you have suffered and developed since childhood, emotions as well as many other parts of your life that are revealed in your handwriting. However you have to understand hand writing analysis is a deeper scientific study of your subconscious mind, consciously you may not agree with some of your traits in the analysis, but it does not mean that they are not their. Imagine your life if the dozens of men and women that you admire and respect the most came together to share Read More .